Managed access control, or keyless entry, is one of the easiest, most cost-effective ways for you to increase security. You have more to worry about than burglars in the middle of the night; you need to protect your physical and intellectual property and reduce risks of workplace violence. Our access control security systems allow you to track and restrict who enters your facility, as well as when they can get in and where they can go once inside. This limits the risk of internal theft and external threats. 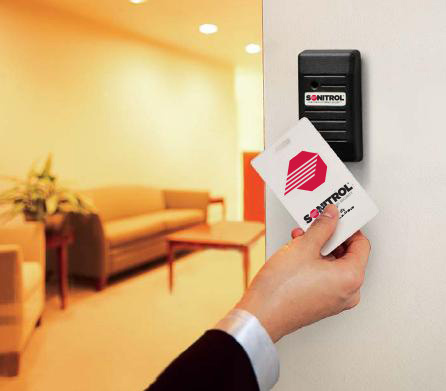 Keyless entry gives you more oversight of your facility’s activity, while saving you money and time, and a partnership with Sonitrol Pacific means you don’t have to add keyless entry system installation to your list of worries—we’ll take care of it for you. That’s why businesses and homeowners in Everett, Seattle, Tacoma, Portland and Boise have trusted us for nearly forty years to be their single-source security provider. With keyless access, you’ll benefit from having your mechanical locks and keys replaced with electronic locks, badges or cards and readers.